The Karner blue butterfly is a subspecies of the common Melissa blue butterfly. It once occurred from New Hampshire and New York westward to Iowa, but today only small populations can be found in Minnesota, Indiana, New York, and New Hampshire. However, some abundant populations still remain in Michigan and Wisconsin. The Karner blue butterfly is a small butterfly only reaching one inch long. Males are vibrant, silvery blue in color, and females are duller in appearance and are blue to grayish brown in color. Both male and female have rows of black spots, and the outer edges of each wing contains a row of metallic blue-green, orange, and black spots. As larvae (caterpillars) they are pea green in color with soft and slightly flattened bodies. These butterflies prefer sandy pine barrens, lakeshore dunes, and sandy pine prairies for their habitat, and there must be plenty of shade from the sun and an abundance of lupine (Lupinus perinnis), a plant that the caterpillars must feed on to survive. As butterflies they are active only in the day, and when the temperature is too hot, they rest in the shade. Females lay their eggs on these plants, so that their young can feed on them in order to grow. The life cycle of the Karner blue butterfly begins in mid-April as the caterpillars emerge from their eggs and feed on the lupine that are just beginning to grow. The caterpillars feed and continue to grow until May and then crawl off the lupine plants to pupate on nearby plants or leaf litter. In June, they emerge as butterflies and hang from plants for a while to dry out their wings. After their wings dry out they immediately begin feeding, mating, and laying their own eggs. One female butterfly can lay up to 80 eggs. Adults live for only two weeks. This species was so abundant in the 1900s that they were known to cover entire fields in "seas of blue." The population of the species has declined by over 99% in the past decade because of loss of habitat due to agriculture development and human settlement, and the disturbance of the lupine plant that they depended on to survive has caused total extinctions in many heavy populated areas such as New York. 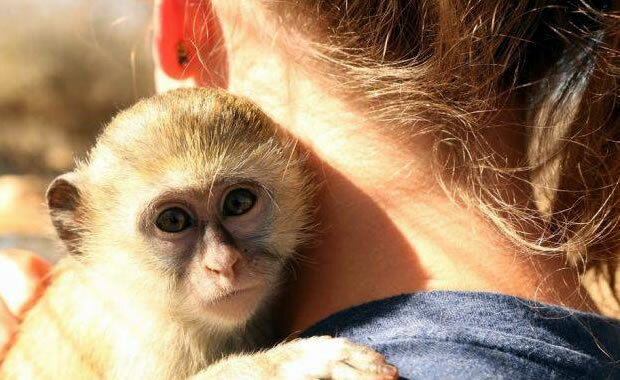 The remaining populations are legally protected and many sites where they are found are actively managed. Copyright Notice: This article is licensed under the GNU Free Documentation License. It uses material from the Wikipedia article "Karner blue". Glenn, C. R. 2006. 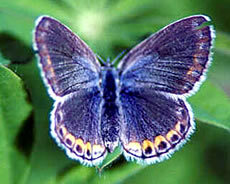 "Earth's Endangered Creatures - Karner Blue Butterfly Facts" (Online). Accessed 4/25/2019 at http://earthsendangered.com/profile.asp?sp=563&ID=9. Need more Karner Blue Butterfly facts?